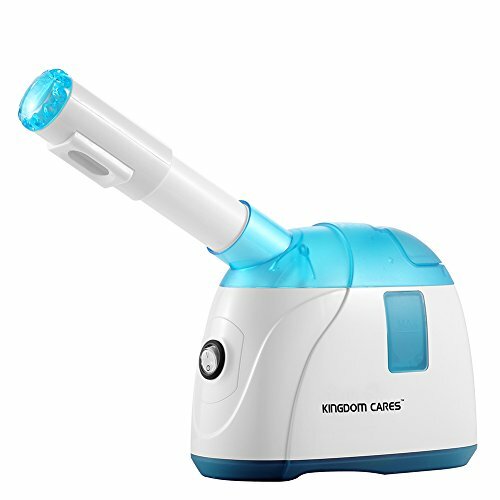 Ozone Ionization Function: Nano-ionic steam consists of small nanometer-size particles. It is an effective way to moisturize the cells of facial skin, provide your skin a relaxed, gentle. 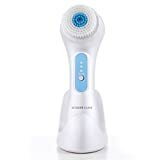 Moisturizes And Softens Your Skin: Nano Hot steam can promote the regeneration of collagen and activate the hydrophilic factors to provide skin a tender, smooth and delicate appearance. 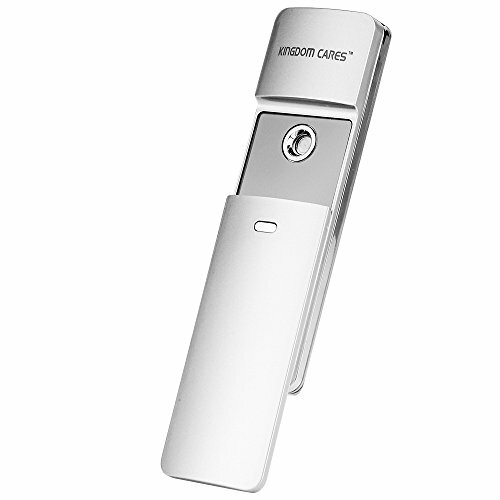 A Tepid Temperature to Open Pores: A tepid and gentle temperature to Open & Unclog Pores, remove Dirt, Oil & Makeup as well. It can Melt Away Dead Skin Cells to make nutrients more absorbable. 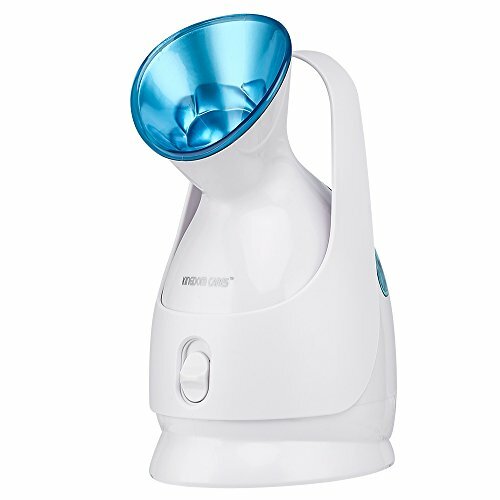 Quickest Time to Moisturize for Skin: The steamer can generate full-powered steam under 30 Seconds. Moisture replenishment is more effective. An Easy Usage to Ensure a No Hassle Beauty Routine: You just need to fill water tank simply and turn on the steamer, then allow skin to be cleansed, replenished, and moisturized. The only official KINGDOM CARES Brand Store on Amazon. 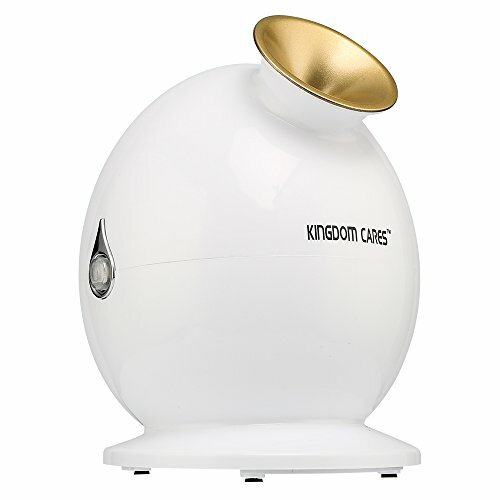 KINGDOM CARES has been dedicating to developing, designing and manufacturing electrical beauty care products since 1999. 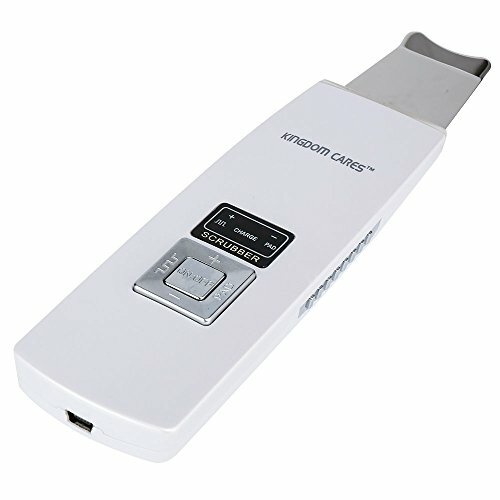 Now it is the leader of China market for electrical skin care appliance. 1. 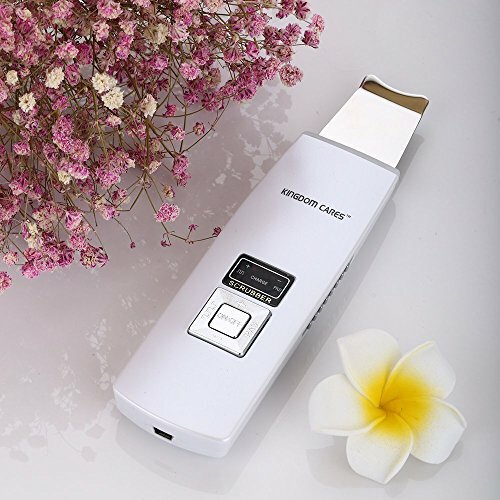 Nano ion permeates deeply into the skin to moisturize quickly. It takes an advanced miniaturized Positive Thermal Coefficient (PTC) ceramic heating element to vaporize clean water and produce a visibly strong steam instantly. 2. It is an effective way to soften the cuticle, Open & Unclogs Pores and improve the nutritional absorbency. It can soften the cuticle, restore smooth, delicate skin and improve skin’s nutritional absorbency. 3. High-tech ozone function with aromatherapy capability is provided to sterilize. 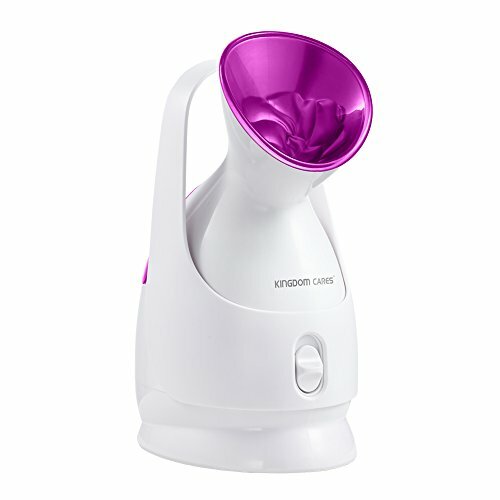 A UV lamp which is inside the unit serves as an on indicator by lighting up the steam outlet hole to sterilize the steam so that it can reach your skin with its purest, most effective condition. 1. Before using the steamer for the first time, please let it run with a full tank of water with a few drops of lemonade for removing a bit of odor from manufacturing. 2. When adding water, please gently pull out the water tank vertically from the back of the steamer, and then twist off the round lid at the bottom of the tank to fill water. 3. The distance between the steamer and face should be 7-8″ inches (20cm) when steaming. A full tank of water can be steamed for about 8-10 minutes.